Most Omar Rodriguez-Lopez albums are released under his name, but there a few variations: El Trío de Omar Rodriguez-Lopez, the Omar Rodriguez-Lopez Quartet, the Omar Rodriguez-Lopez Quintet, and when touring, the Omar Rodriguez-Lopez Group, (though Woman Gives Birth to Tomato! was also released under this name). 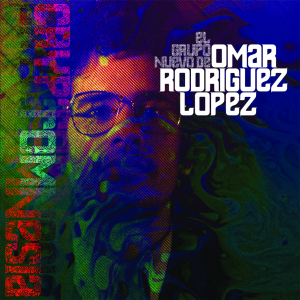 And then there’s El Grupo Nuevo de Omar Rodriguez-Lopez, the least literal and most tongue-in-cheek of them all. When I listen to Cryptomnesia, which is fairly often, I feel like I’m snuggled in a beloved, decade-old Fair Isle knit jumper covered with intricate, brightly coloured patterns. Unfortunately, it’s also very itchy in places, to the point where I have to rip it off and stash it away for a while. And then I remember how pretty and warm it is, so I eventually come back to it.